The strange orange block on the right of the logo is a reproduction of a picture in the original sales brochure for the Sinclair Spectrum. 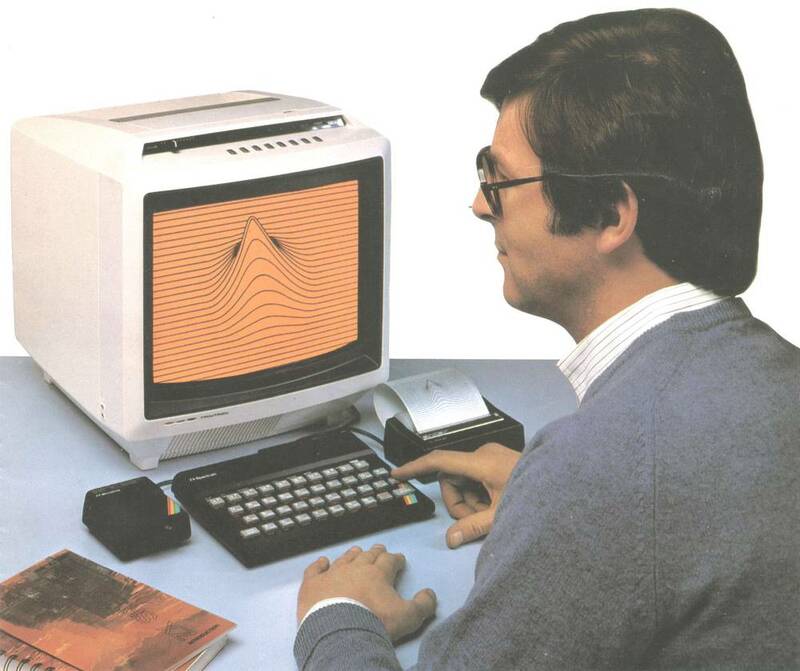 The brochure shows a setup of Spectrum, ZX printer and Microdrive, with the above 3D contour map showing on the television screen. Advertisement for ZX Spectrum, from a 1982 Sinclair brochure. However the display puzzled me at the time. Firstly it shows the contour lines going right up to the edge of the TV display, but the Spectrum actually left quite a wide border all round the screen. Secondly the background is orange but the Spectrum could not display orange. Finally it is obvious from the photograph that there is no power lead going into the Spectrum!